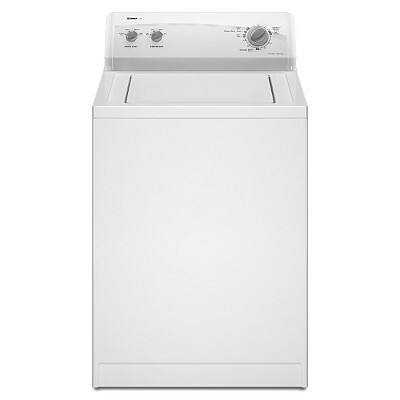 Today we are going to talk a little about a Kenmore 90 Series Top Load Washer. These have got to be one of the most common washers on the market today. 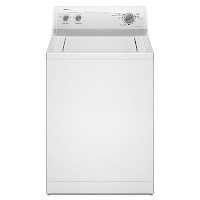 Kenmore washers are mainly made by Whirlpool, so the information in this post will apply to them also. Figuring out how to change a part will sometimes turn out to be easier than actually figuring out which part is bad in the first place. Sometimes people just take a wild guess. That's usually not the most cost effective way to do a repair. In that case you might as well just pay the repairman to come to your house and do it right the first time. That may turn out cheaper than replacing multiple parts and still not having a fixed machine. But anyway, enough about that for now. On to a couple simple diagnosing tips. Let's do a what if and go from there. What if your washer is not spinning? Alright, so to be more accurate on our diagnosis we need to determine a couple things. Starting with, is the washer working in the wash cycle then not spinning in the spin cycle, or is the washer not working in the wash cycle either. This makes big difference in which parts are going to need to be looked at. If the washer's wash cycle is working fine and the spin cycle is the problem you could just be looking at a lid switch repair. That would probably be the most common problem with this type of washer. If neither cycles are working, you would want to focus your attention to the motor coupler. This piece connects the motor to the transmission, letting the machine wash and spin. The motor will spin in one direction to wash and it will spin in the opposite direction to spin. To help with diagnosing a motor coupler you are going to have to take a listen to the machine. If the motor coupler is faulty, the machine is going to sound like it's washing or spinning, but nothing is happening. Basically you are hearing the motor spin, but the tub is not rotating. This video Below will show you how to remove the cabinet from your Kenmore or Whirlpool Top Load Washer. This is usually the most asked question when it comes to repairing these machines. Once you know what to replace and get the cabinet off, like I said earlier, replacing the part is the easy step. Now I'm going to end this post here. This is so I have something else to write about later. Please feel free to post in the comments any questions you have with your Kenmore or Whirlpool Top Load Washer. I will do my best to help you out. Thanks for taking the time to read this post! What if there is nothing happening? Washer filled up but is now not doing anything? Lid Switch would be the most likely cause of this. Maybe another common problem being they had the part right behind the counter. If the was cycle works and it is not spinning, try putting it to the spin cycle without any clothes in it, you will need to engage the switch by putting something like a screw driver in the little hole on the right. While in the spin cycle give the tub a little nudge clockwise, if it starts to spin a bit but without enough force you may have a bad clutch. At least that is what it was on mine. Oh on a side note, if you do end up replacing the clutch or anything else and you find a 2 inch or so brass cotter pin that is flat on one side do not waste hours trying to figure out where in the heck it came from (like somebody did....) It is used for shipping to hold things in place and I guess the installers pull some string and they fall in to some catch. I have a kenmore 90 series washer and it has started making a whinning sound when it agitates and spins. It actually stoped working at one point, so I unpluged it for a day and the next day tried it again and it worked, but it still makes the whinning noise. Repairman says its the bearings and it would cost to much to repair and I should just buy a new one. My question is, can I do this repiar myself and is it probably the bearings? I HAVE A 90 SERIES KENMORE WASHER THAT WILL NOT DRAIN & GO IN SPIN CYCLE.WHEN IT COMES TO SPIN(DRAIN) CYCLE IT JUST STOPS?? HELP! IS THIS A SOLENOID OR TIMMER PROBLEM?. TIMMER DOES NOT ADVANCE. TURNING SETTING DIAL WILL REPEAT WASH ADJATACION BUT STOPS AGAIN AT SPIN/DRAIN CYCLE. I have series 90 that wouldn't spin, just made a noise like it was trying too. I replaced the coupler and tried the spin and it worked fine. I put in a load of clothes, filled it up and now will not agitate but only makes a noise; will not spin either but with no noise at all. I need some advice please. The washer I have now seems to not agitate nor spin! Any idea what this means? That's it! You're a genius!!! I could've save myself some pain and aggravation if I had only watch this video before I opened and replace my motor coupling. Thanks for posting this video. My Kenmore washer leaks water when from the bottom of it.This only happens when it's filling up with water...Is this some type of seal problem? I have the same issue, have you found out what the problem is? Check the pump. Tilt the machine back so you can look under it and look at the bottom clip that holds the pump onto the motor. If its rusty and corroded real bad then the pump seal has gone bad. Replace the pump and the leak will be gone. I washed my wallet the other day and lost a number of important things. I think that the stuff from my wallet went up and are now in the washer tub (meaning I need to take it apart). Can I open up my Kenmore Series 90 washer and gey my stuff back? Is it as simple as removing the cover / casing? Sure can. This video will help. Once you get the cabinet off. Push down and unclip the white ring around the top of the tub. My washer will only run on the pre wash setting and the rinse and second rinse. I have tried switching the water temps and everything and nothing seems to work. Any ideas? I'm in a rental and there is no use contacting the home owner, she hasn't managed to fix any other issues that we have had In the house so I know she won't fix this. Any ideas? Everything seems to work, agitate, rinse, and spin, but things remain wet when done. Put it through a second spin with top up and lid switch depressed and all is spinning fine. Pulled the drain hose up and watched it pump. So why not the first time? I have no cold water,but warm and hot are fine. Are you on a well? If so, remove the cold water line from the washer and clean the screen between the valve on the washer and where the hose connects to it. Basically remove the cold water hose from the washer, look into the valve, you may find debri and junk blocking the flow of water into the machine. Clean it out and you are good to go. Hi,My 90 Series top load over fills, Any Ideas where to start. Washer was washing but made an awful sound and now just makes a loud clicking/whining noise. Won't drain either. Any thoughts? Send me a model number, I'll take a look at what machine you have and try to help you out. It makes a sound like its running but its not. When I turn it to rinse, same thing. When I turn it to spin it does nothing, not even make noise. Appliance Repair services in Los Angeles at (800)350-0224. I have a Kenmore series 90 washing machine. The basket where you put fabric softener won't drain. Is there a way that it comes apart? I shook it and water came out but not otherwise. This article and video was VERY helpful. I pulled the case and replaced the lid switch in no time flat. Thanks a bunch! I have a problem my washer try to turn it on its not doing anything no noise or anything like it trying to work. is there anything I can do to fix it? My 90 series initially had a bad Motor coupler, which I replaced. Assembled it all back together, so I plugged it in and the water level came up to the desired level. No agitate, no spin. Smelled like a burnt component. Shut it off and unplugged it. Pulled it down and pulled the motor again. Motor was hot to touch. I connected the motor back up leaving all else unattached to it and the motor would not come on at all. My motor has a large capacitor attached to the motor side. it was very hot when I first took it out. How can I test the motor without hooking it back to the control board? Does this sound like bad lid switch or a bad motor/control board? I'm having the same problem that Brian has above. I remove the motor from the coupling, leave the harness connected and it gets very hot to the touch, but does not spin. When I spin the shaft by hand it turns the motor on and the motor runs nice. What could be causing this .... the micro computer board? I have a Kenmore washer Model # 110.20922990. When on the Large Load setting, how much water does the washer place in the tub if there are no clothes in the tub? I have a 90 series Kenmore washer. Agitates in the wash cycle just fine, and actually spins fine, but when the spin cycle first starts, I get a loud clanking. Once it reaches cruising speed in the spin, the clanking goes away. No noise (or abnormal noise) when the spin stops. Any ideas on what is causing that? (it even happens when the basket is empty, so I don't think it's a balance issue) And yes, it drains just fine before it starts spinning fast.